A valid WinTV application CD-ROM will be needed to install this WinTV v7 version. Any WinTV v6 or WinTV 7 application CD can be used during the install. 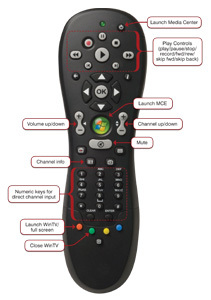 Download the WinTV-HVR-2200 Windows driver above. Double click the downloaded driver. 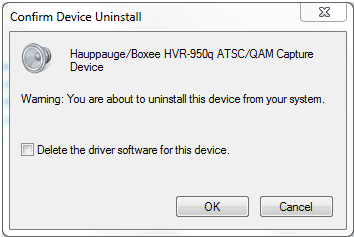 This will install the WinTV-HVR-22xx Windows driver. 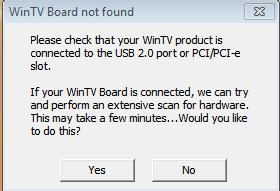 All WinTV-HVR-22xx boards are designed for Windows 8, 7, Visa and WindowsXP. They can also be used with Windows Media Center or Hauppauge’s WinTV v7 application. If you are running the Windows Media Center application, you only need to install the WinTV-HVR Windows device driver. You do not need to install the Hauppauge WinTV v7 application. If you are using Windows Media Center and want to use the on-board Media Center compatible receiver transmitter, you also need to run the Hauppauge CIR config tool and select Hauppauge WinTV-HVR-2215. In the WinTV-HVR-22xx manual, see the section entitled “Configuring the IR Blaster”. 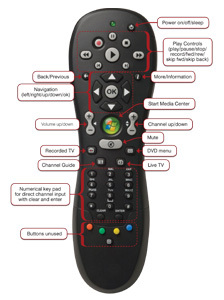 Remote control applet. After you run this applet, an icon will appear in your Windows device tray showing that the Hauppauge remote control is active..